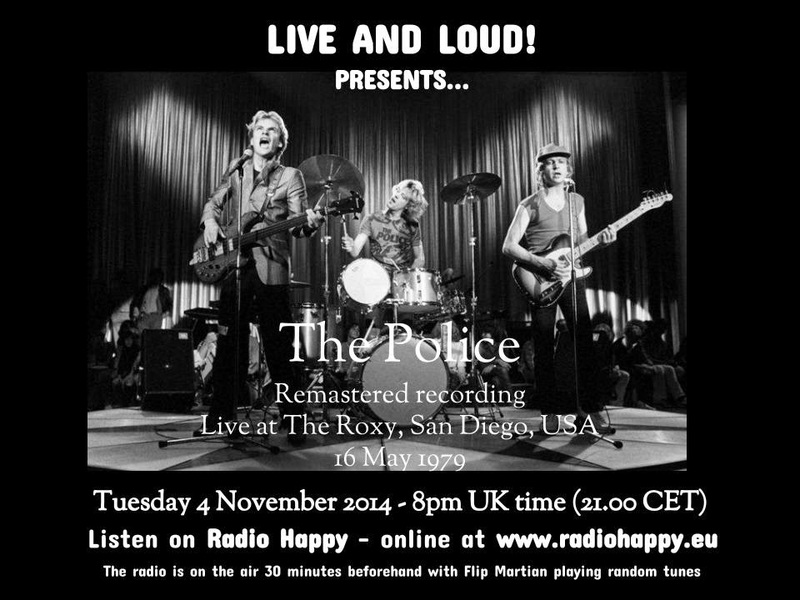 The Police were one of the biggest bands of the early 1980s - but this show captures them in concert just before they hit the bigtime. They had released their first album, Outlandos d’Amour in November 1978 and initially it didn’t do too well - the first two singles from the album, Roxanne and Can’t Stand Losing You, having flopped some months earlier. In early 1979 however, Roxanne was released in the USA and met with some success - The Police duly set off on a low budget tour of the USA, driving themselves around in a van - and that success led to Roxanne being re-issued and making the UK top 20. After this tour they finished recording their 2nd album, Regatta de Blanc. The 1st single from that, Message In A Bottle (played on this tour for the first time), got to #1 in the UK and...well, the rest is history. Good to hear the fire in their playing way back when - seems like only yesterday. Thanks for the post!